It comes up time and again, when talking about the races of Azeroth, there are those races that were created as seed races by the Titans — the Earthen, the Vrykul, the Giants, perhaps the Tol’vir and Mogu as well — and then there are those races that appear to have either predated the arrival of the Titans or have arisen after them. It’s hard to say which races definitively existed before the Titans, but some make claims to that status — and the lore backs them up. 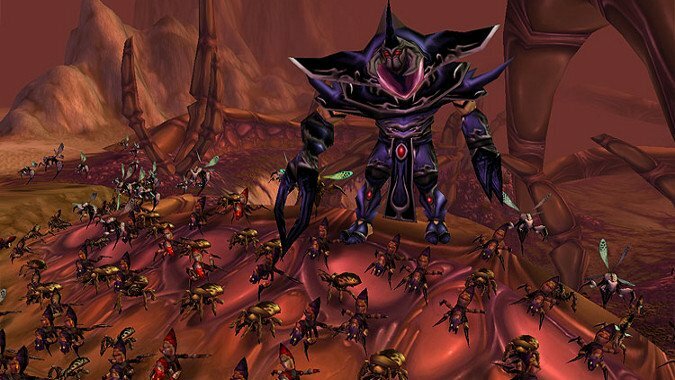 The various Aqir-descended races (the Mantid, the Qiraji, and the Nerubians) all claim to predate the Titans and even call them ‘Usurpers’, arguing that they served the Old Gods before the Titans arrived on Azeroth. 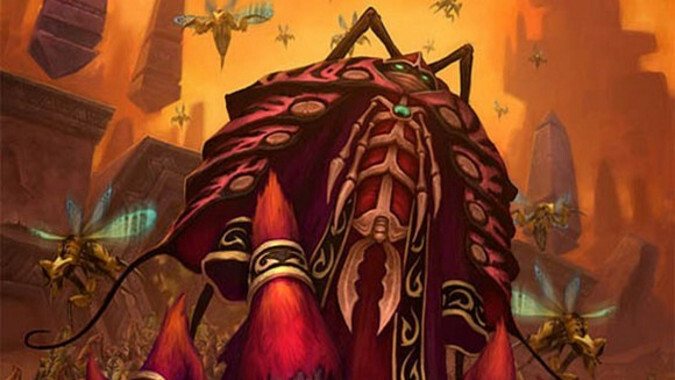 The Tribunal of Ages disputes their claim, arguing that the Titans made Azeroth and then the Old Gods came and infected the world, but either way the insect races were not the creations of the Titans. The Titans were known to many mortal races. The Trolls named them Travelers, and spoke of their overthrow of the Old Gods, but can shed no light on whether the Old Gods or the Titans made Azeroth. The trolls do not appear to be a Seed Race, either — like the Aqir they once warred against, they seem to be utterly native to and predating the coming of the world shapers. But if an Old God made the Trolls, we know nothing of it. In fact we do not know the origins of the Trolls. We know they exist, and that they existed in Azeroth’s distant past. We know they did battle with the Aqir, ruining the insect people’s empire at the cost of their own. But where they come from, whether they were born from either Old God or Titan or simply happened on Azeroth, we do not know. Based on the fact that the Trolls have actual legends of the Titan’s arrival, it seems possible they were already on Azeroth when they arrived. Trollish history on Azeroth dates back to the Zandalari, the first tribe of Trolls, whose caste system and a series of migrations would in time lead to the existence of all modern trolls — the Amani, the Gurubashi, the Drakkari, and other tribes descend from those that left the Zandalari due to dissatisfaction with their lot in life under the ancient Zandalar society. 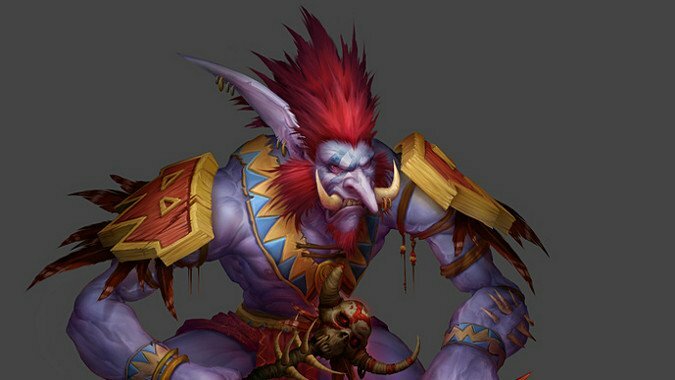 Furthermore, another tribe of Trolls, the Dark Trolls, seem to be the ancestors of the Kaldorei or Night Elves, which means that Azeroth’s various Elven subraces (Night Elves, High Elves, Blood Elves, and the as yet barely known Nightborne offshoot of Elves) are all native to Azeroth and not the result of Titan creation as well. Brann Bronzebeard argues that the Tauren (Shu’halo, in their own language of Taurahe) were created before the dawn of creation, before the arrival of the Titans, by a long-forgotten Ancient, much as the Furbolg were created by Ursol and Ursoc. The fact that Niuzao, the August Celestial from Pandaria, took the form of a Tauren during the trial of Garrosh Hellscream is seen by those that believe this as a sign that Niuzao was the progenitor of the Tauren and their relations. The Tauren themselves have a legend that the Earthmother created them while shaping the world and the sun and moon, the shadow of her hands giving rise to the Tauren wherever that shadow fell. Whatever the truth, Tauren legends indicate an ancient lineage for the Tauren, including a time when they found themselves corrupted by the Old Gods. 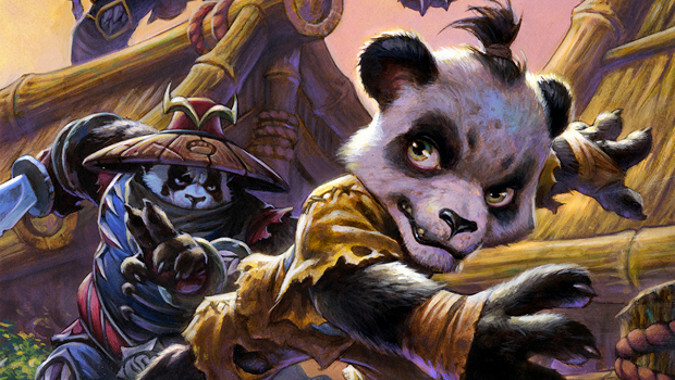 At present we know of the Tauren themselves, the Yaungol of Pandaria (who developed a harsh martial culture dedicated to the use of fire as a weapon of war against their Mantid enemies), and the Taunka (who endured an even more harrowing life in Northrend and who moved towards a lifestyle of actively dominating the elements instead of asking them for aid as do their Tauren cousins). Both of these offshoots of the Tauren people were isolated for long periods of time by the Sundering, which left the ancestors to the Yaungol stranded in Pandaria and the Taunka in Northrend, but the Tauren were not static during this period either — the genocidal attacks of the Centaur forced them into an ever more nomadic lifestyle as the Centaur used their greater speed to range far and wide, attempting to consume or destroy the Tauren’s food supply. Thus not even the Tauren of Mulgore can claim to maintain the original culture of the Tauren people from before the Sundering. The Tauren have legends about the origin of Cenarius and claim to have learned Druid magic from him in the distant past, perhaps even before the Night Elves — but the truth of this claim is unknown. When the Mantid call the Titans ‘Usurpers’ they may well be telling the truth, for the Mantid are an offshoot of the ancient Aqir, an insect race that one threatened to eclipse all other life on Azeroth. At some point at least 18,000 years before the First War, these insects were defeated after a long war of attrition with the Troll Empires of the Amani and Gurubashi, but for millennia before that happened the Aqir had served the Old Gods. C’Thun is sometimes credited with having created the Aqir from the Silithid, who were themselves apparently created from exposure to the Well of Eternity, but the truth is unknown — it’s hard to trust the word of the insane servitors of the Old Gods. What we know is this — after the Aqir rose, they fought the Trolls, and while they managed to destroy any chance of the Trolls ruling Azeroth they were themselves cast down in the process. Many of the Aqir fled north from Azt’Aqir, eventually finding an old Titan facility and taking control of it in the process. These beings would become known as the Nerubians. The rest of the race fled south, where some ended up trapped in Pandaria when the Sundering split the world apart. These became the Mantid. Those that lingered in Kalimdor became the favored servants of C’Thun, the Qiraji. The Aqir might well be the Old God’s equivalent of a Seed Race, based on the fact that Harbinger Skyriss serves the Old Gods and is imprisoned by the Naaru in Tempest Keep’s Arcatraz before Kael’thas and his forces seized the place. Skyriss’ claim that ‘We span the universe, as countless as the stars!’ could mean that there are many Aqir colonies in the cosmos, ruling at the behest of the Old Gods. 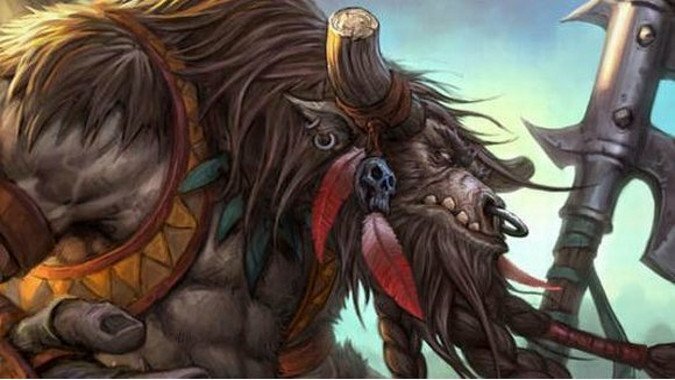 We know the Furbolg were the creations of Ursol and Ursoc, the bear Ancients, and Brann Bronzebeard speculated on other such races (Pandaren, Wolvar, Gnolls, Makura, Tuskarr, and even Harpies) being the creation of the Ancients as well. In addition, we know that Cenarius created the Keepers of the Grove and the Dryads. From Cenarius’ offspring Zaetar’s mating with Princess Theradras (an earth elemental and the daughter of Therazane) came the Centaurs, while the Magnataur’s exact genesis is unknown but is claimed to be from Cenarius as well. The Murlocs and their Gorloc relatives may have descended from an Ancient as well, which would also mean that the Jinyu were descended from an Ancient as well. This does not include races such as the Orcs and Ogres, who not only are not native to Azeroth at all, but who might actually have been created by the Titans as Seed Races for Draenor — the Highmaul Ogres consider the Titans to be the Forgers of their world. It also doesn’t include the Grummles (descended from Earthen by way of Mogu fleshcrafting on Troggs) or Hozen (your guess is as good as mine, but if evidence that the Ancients or August Celestials were involved ever comes to light, we can move them). The Saurok were created by the Mogu, who were themselves created by the Titans, so while they aren’t technically descended from a Seed Race, they’re not a natural native race either. There may be others I’m forgetting, but this covers most of the people who can trace their lineage back to something other than the Titans, at least on Azeroth, at least directly.